It has been a long while since I last visited Nirai Kanai Okinawan at Liang Court in 2012. This time I am back with my colleagues who are interested to find out more about Okinawan food. Even though Okinawa is part of Japanese but their cuisine is very different from the main land. 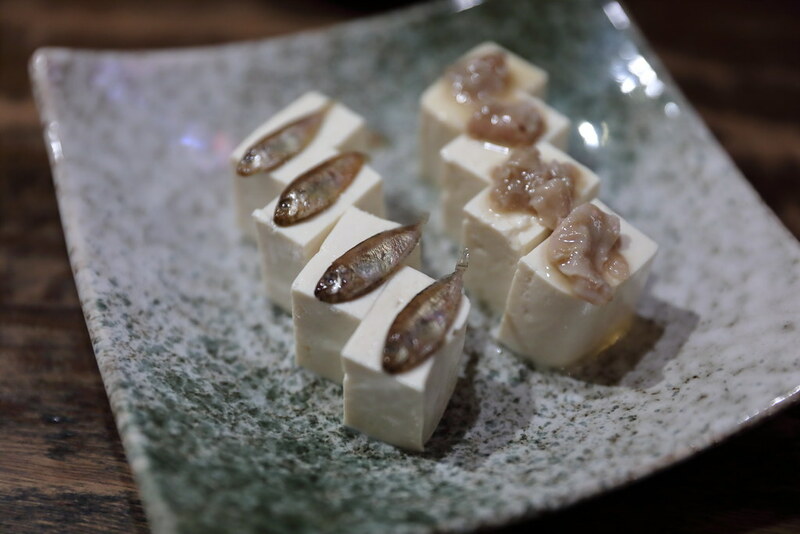 We started with some light bites such as the Peanut Beancurd ($6.50). The texture of the beancurd is almost pudding like. However I find it hard to appreciate the combination of peanut with the silky smooth texture. 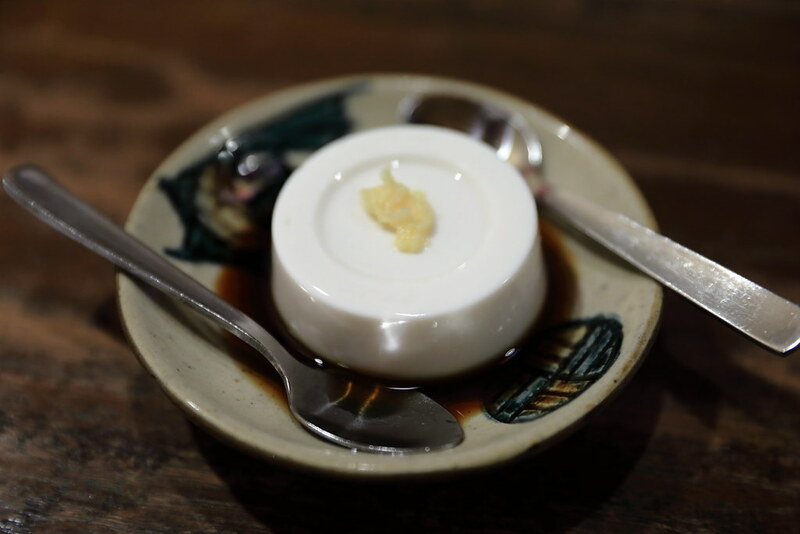 We decided to be adventurous and ordered the Salted Young Fish and Salted Bonito on Okinawan Cold Beancurd ($9). Unfortunately it turned out to be a horror decision. the salted young fish and bonito were extremely fishy. I could not accept the acquire taste. The last time I visited the restaurant I had the Pig's Ear ($8) with peanut sauce but this time we had it with the ponzu sauce instead. 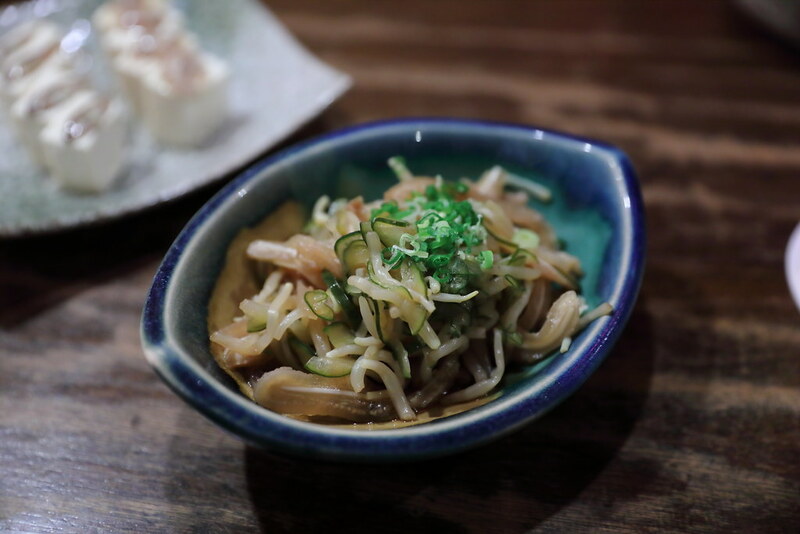 The ponzu sauce gave the pig's ear a new refreshing dimension on top of its crunchy texture. 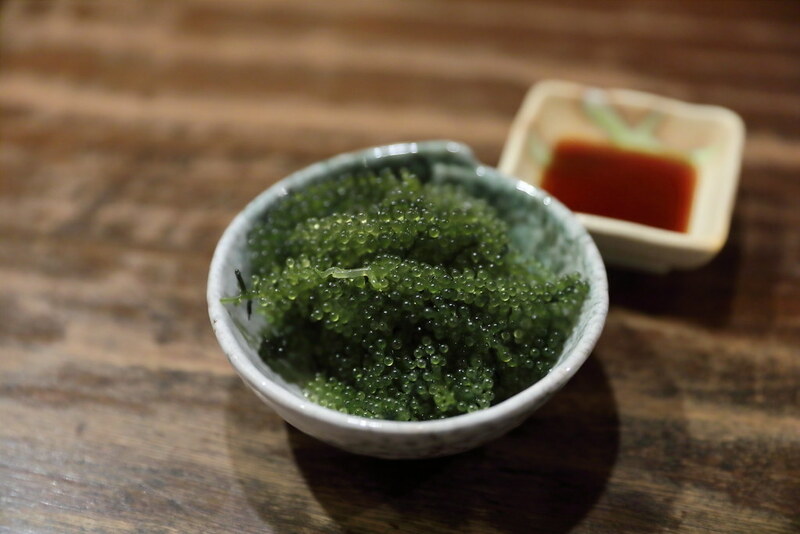 Whetting up the appetite is the Green Caviar - Seaweed with Ponzu Sauce ($14). The popping saltiness complemented by the tangy ponzu sauce for a delectable appetizer. We are actually quite surprised to find Tacos Rice ($15.80) on the menu. My guess is that the dish comes about because of the America navy base in Okinawa. 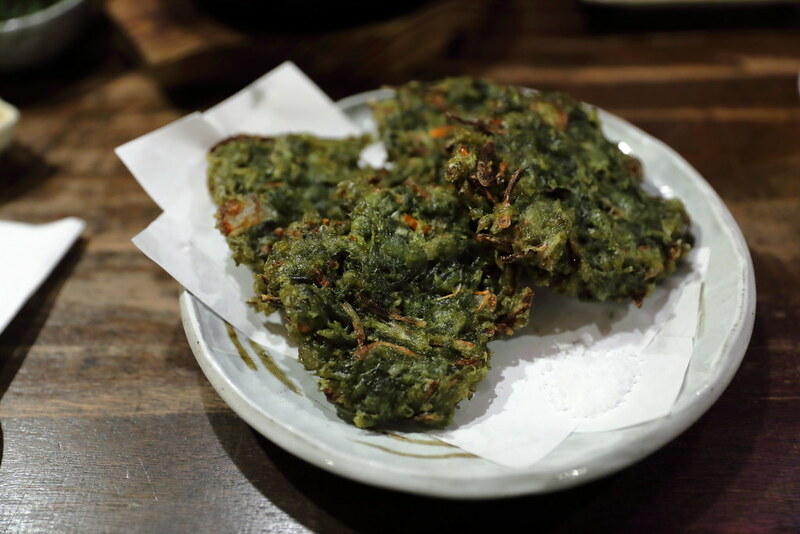 Over the years, it may have influenced the cuisine in Okinawa. 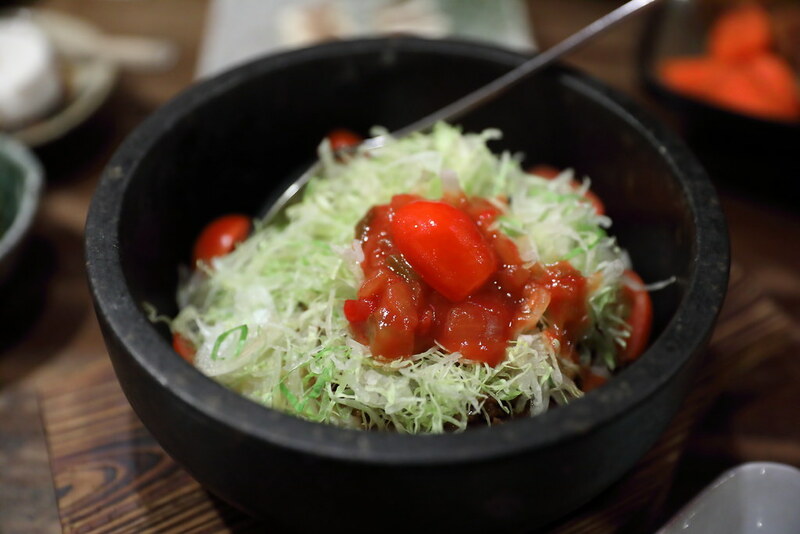 Served in a hot pot, the dish comes with minced spicy beef, lettuce, cheese, salsa sauce and rice, Give it a good toss for the sauces to coat the rice for a fragrant and cheesy enjoyment. 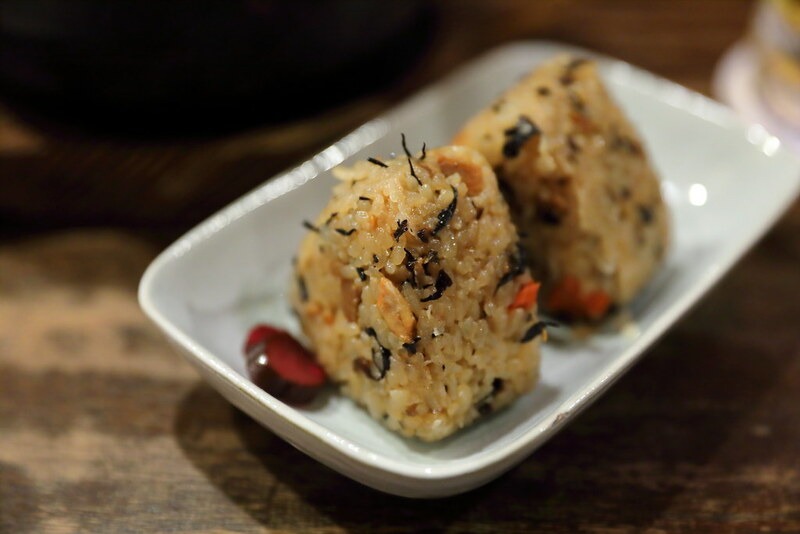 The other rice dish on the menu we tried is the Okinawan Seasoned Rice Ball ($6.50 for 2pc). Beautifully seasoned, it somewhat reminded me of the Chinese's glutinous rice used in rice dumpling. I enjoyed it and this is one item I will order in my next visit. While the Aosa Seaweed Tempura ($8.80 for 2pc/ $13 for 4pc) has a good crispy bite, I find that the flavour was rather bland. It needed some extra savoury element to boost the finishing or it felt like eating a pile of grass. The Simmered Pork Belly ($9.80 for 2pc / $14.80 for 4pc) is one of the dishes I enjoyed during my previous visit hence I recommended by colleagues to try. 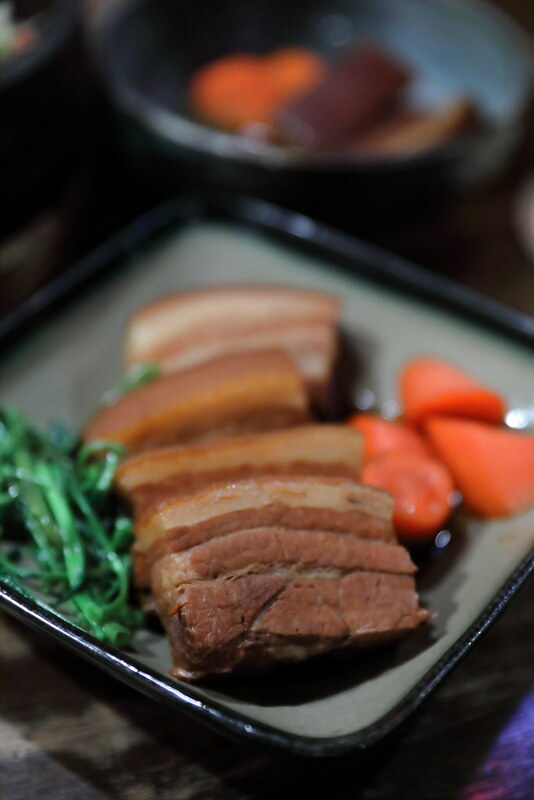 It is still a very enticing dish with the wobbly layer of fats attached to the well braised lean part of the pork. However I felt that the texture was not as soft as I remembered. It seemed like it needed more time to break it down more. 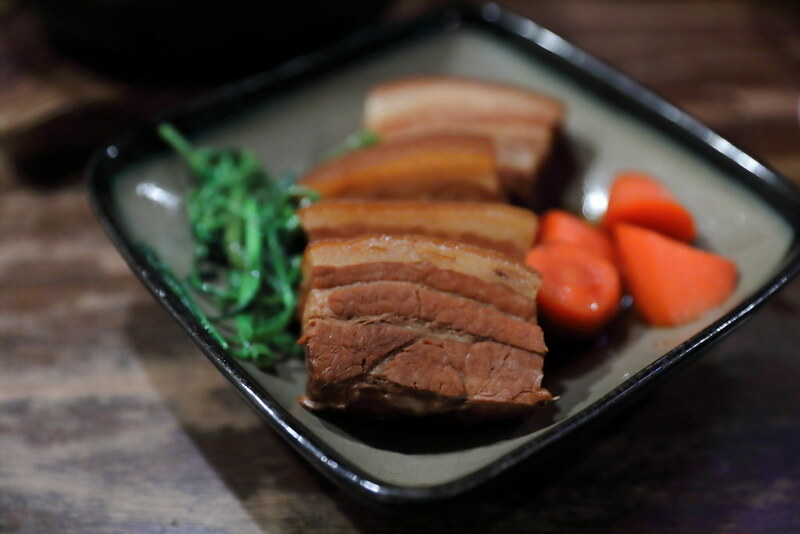 Known as the Okinawan beacon it the Pan Fried Salted Pork Belly ($12). 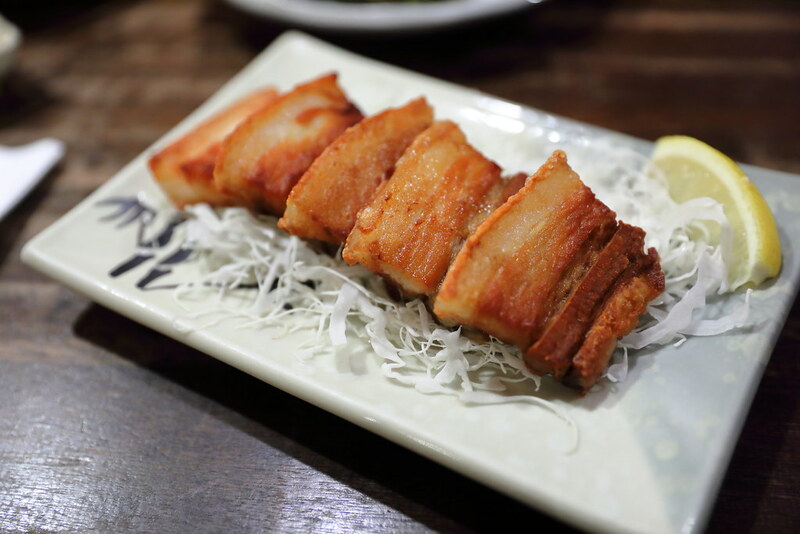 Nothing fantasy, just like eating a big piece of sio bak to appreciate the the crispy pork belly. The highlight at Nirai Kanai OKinawan for me is the Stir Fried Bitter Gourd with Pork, Okinawan Bean Curd and Okinawan Egg ($7 small/ $9.50 large). 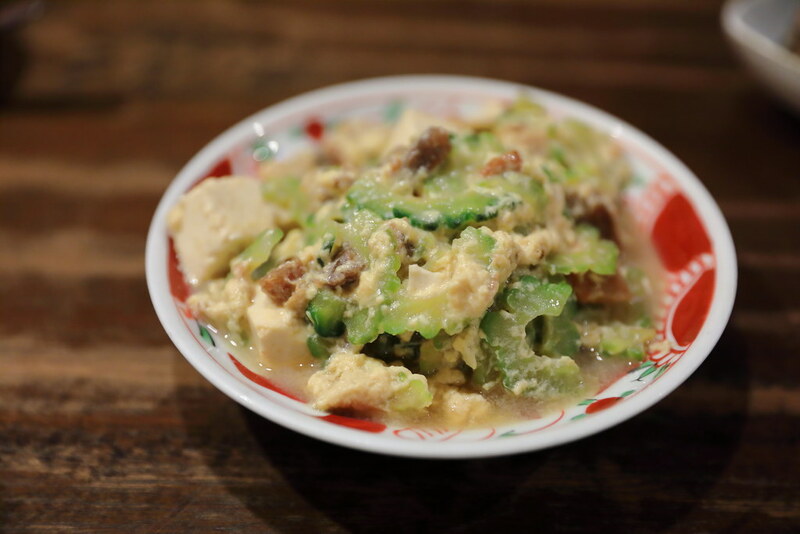 It was a hearty and comforting dish that probably can be eaten in every Okinawan's home. Though simple, I like how it was executed with the runny egg coating the crunchy bitter gourd, complemented for the silky tofu for that contrast in textures. 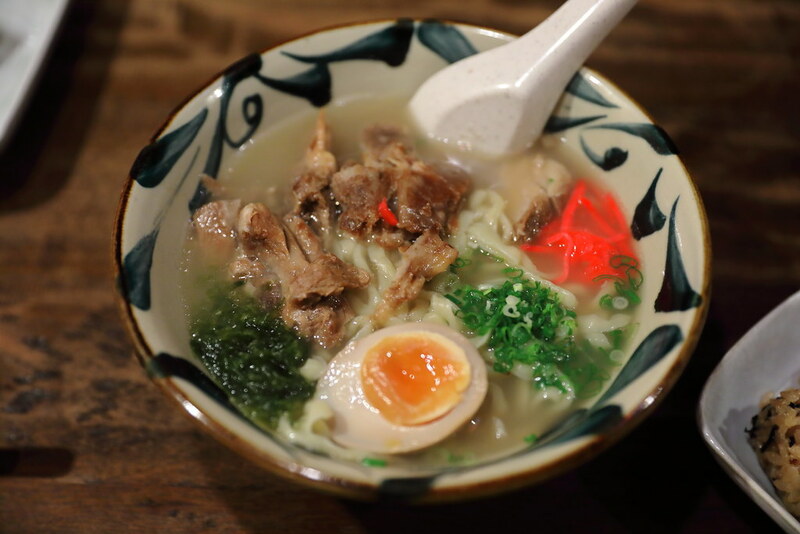 In fact, Okinawan cuisine is rather unique. It is totally different from Japanese cuisine that we know. In short, it felt like many of the dishes were Chinese inspired while some probably influenced by the American. I also noted that Okinawan cuisine simple to be focus in pork, tofu and bitter gourd.